CRAZY COOL GROOVY!!! 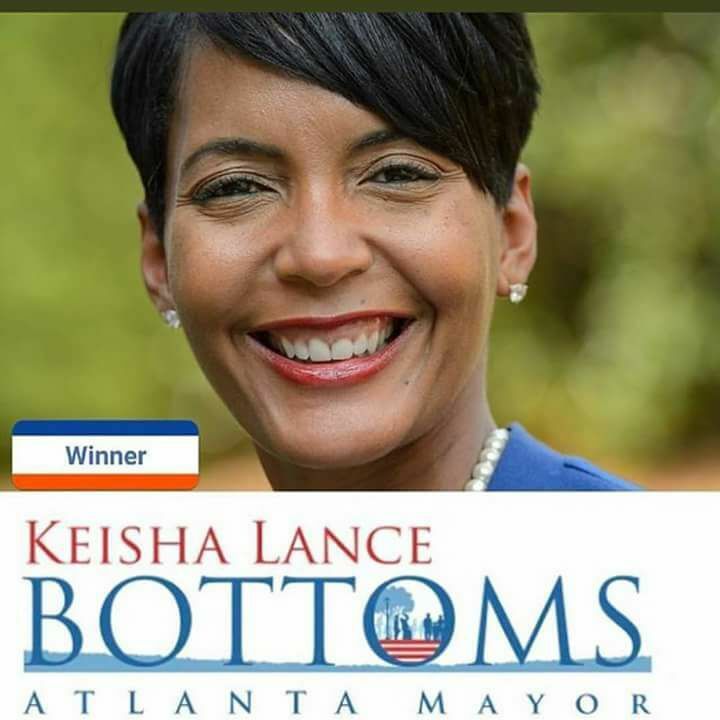 : #BLACKWOMANMAGIC - KEISHA LANCE BOTTOMS ELECTED MAYOR Of ATLANTA!!! #BLACKWOMANMAGIC - KEISHA LANCE BOTTOMS ELECTED MAYOR Of ATLANTA!!! CRAZY COOL GROOVY CONGRATULATIONS goes out to former ATLANTA District 11 Councilwoman KEISHA LANCE BOTTOMS for on Tuesday, December 6, 2017 making BLACK HISTORY and BLACK HERSTORY by being elected to serve the people as the 60th MAYOR of The CITY Of ATLANTA!!! Mayor-Elect BOTTOMS is the second WOMAN, and; second BLACK WOMAN to be elected MAYOR Of ATLANTA. She is a graduate of FLORIDA A&M UNIVERSITY, GEORGIA STATE UNIVERSITY, and; she is a DEVASTATING DIVA In CRIMSON And CREAM Of DELTA SIGMA THETA SORORITY, Inc.